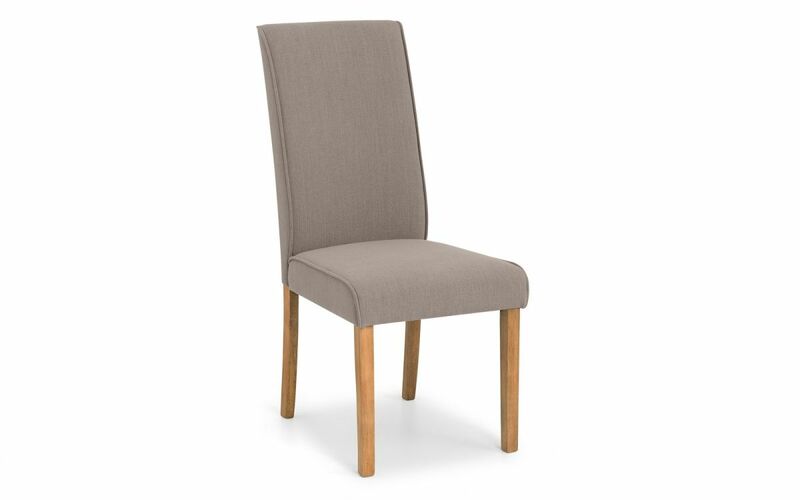 The Soho dining chair is upholstered in a taupe linen effect fabric, bringing class to your dining area. Crafted from a hardwood frame with foam and fabric upholstery, this dining chair provides maximum comfort around the dinner table. Featuring oak coloured legs, creating the perfect match for many of our dining tables. Hardwood frame, foam and linen fabric.